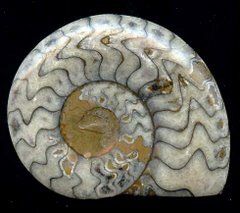 As I'll be away for the next couple of weeks, this time PalaeoPorn has something different. 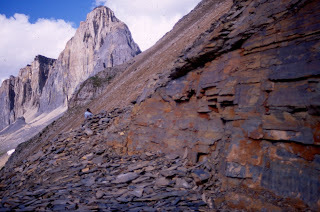 This is the world famous Burgess Shale in the Yoho National Park, British Columbia, Canada. One of these days I'll have to get out there (not that it's exactly local, this being a big country and all....). I spend way to much time thinking about (and publishing a comic about) Walcott's Quarry. I would get help, but how can it be wrong when it feels so right!